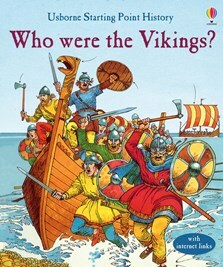 This lively book is packed with fascinating and surprising facts about Viking raiders and explorers, and the farmers and their families who stayed at home. Did all Vikings have horned helmets and red beards? Why were some of them buried in boats, and why were people so afraid of the Vikings? You’ll be amazed at how much there is to find out.